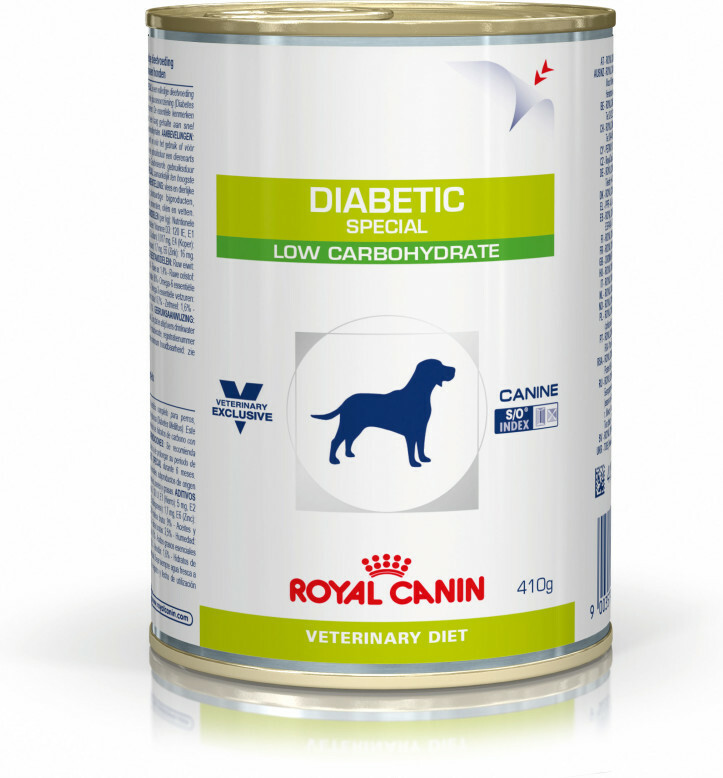 Diabetic Special Low Carbohydrate (can) For dogs with diabete mellitus. A low carbohydrate intake lowers postprandial blood glucose. 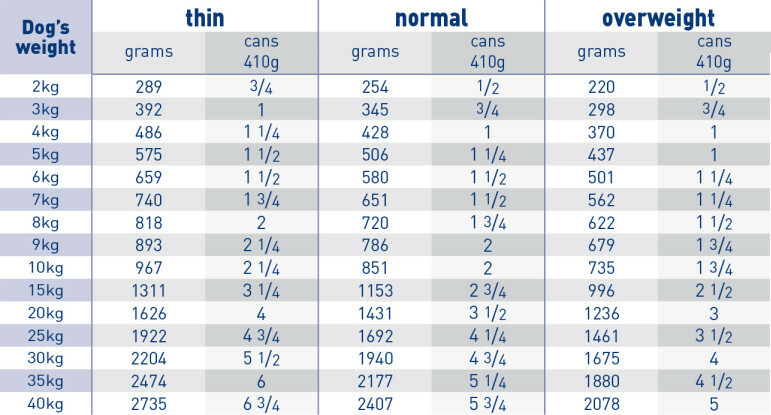 Fibres and cereals of low glycaemic index contribute to control of postprandial hyperglycaemia. 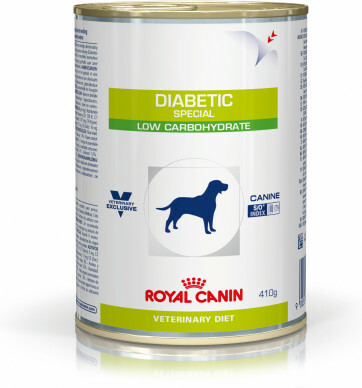 Dietyary fibre slows small intestinal digestion and supports glycaemic control in diabetic dogs. Diabetes mellitus increases oxidative stress, favouring the development of diabetes-associated chronic complications. High levels of antioxidants help combat this. 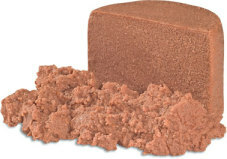 Pork and poultry meat, poultry liver, vegetable fiber, corn, minerals, carrageenan, sugar beet pulp, sunflower oil, taurine, trace elements (including chelated trace elements), marigold extract (rich in lutein), L carnitine, vitamins. Crude ash: 7%. Crude fibre: 12.5%. Crude oil fats: 20%. Moisture: 80%. Protein: 45%. Vitamin D3: 120IU, E1(Iron): 5mg, E2 (Iodine): 0.017mg, E4 (Copper): 0.1mg, E5 (Manganese): 1.7mg, E6 (Zinc): 16mg.